This show turned into everyone's favorite. Who doesn't love a story about a boy meeting a girl, complete with their happily every after? Cinderella had us humming the songs for months. Set crew came in to create both a rustic cottage for Cinderella and her step family, along with the elegance of the castle and ballroom. Our actors looked flawless as ballroom guests and royalty, thanks to our costume and makeup crews. With the largest pit orchestra we had to date, our musicians sounded wonderful accompanied by our talented actors and vocalists. Cinderella became our highest attended show in years, with over 1,200 people coming through our auditorium over the three day weekend. Audience members could buy crowns and tiaras in the lobby, or have tea with Cinderella during our Cinderella Tea Time. 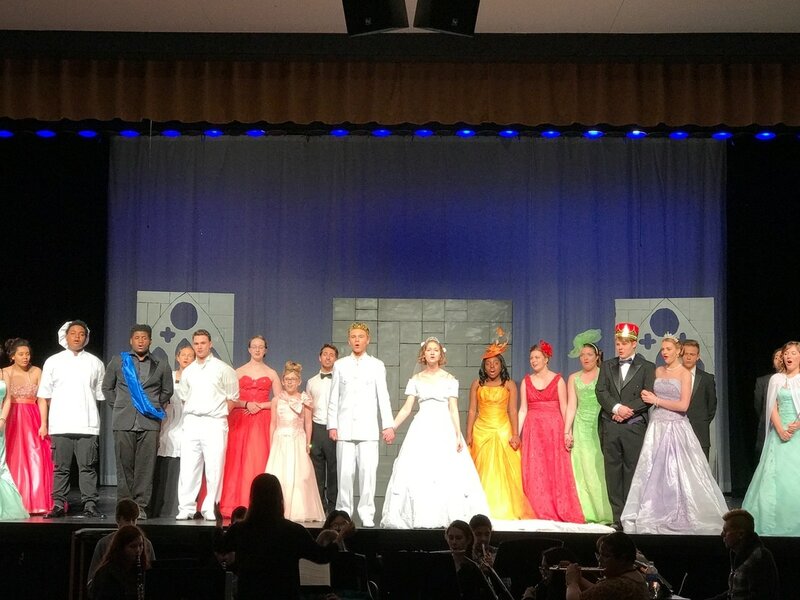 Overall, Cinderella proved to be a lovely night!